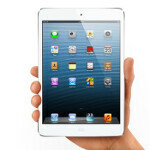 Is Apple not selling the Apple iPad mini as much as expected? Is the lower resolution screen keeping sales down? These are some questions that Wall Street analysts have had to ponder. One analyst in particular, Doug Freedman from RBC Capital Markets, has done some leg work, checking out Apple's supply chain for the device and his research led him to pen, "iPad Mini Gen-2: Apple's gen-2 iPad mini is getting pulled-in, and is likely to have several new suppliers, with TXN gaining content," which translated means that there is speculation that production on the next-gen iPad mini will start earlier than forecasted and that Texas Instruments will be a major supplier. While Freedman did not clearly state that the Apple iPad mini will be released ahead of schedule, it is possible that the pixel density on the device,at 162ppi, is costing Apple sales. The full-sized third and fourth generation Apple iPads have had pixel density of 264 ppi, and while 300ppi is considered to be a Retina display, a tablet is held further from the eyes than a smartphone which is why the third and fourth gen iterations of the slate are considered to have a Retina display. 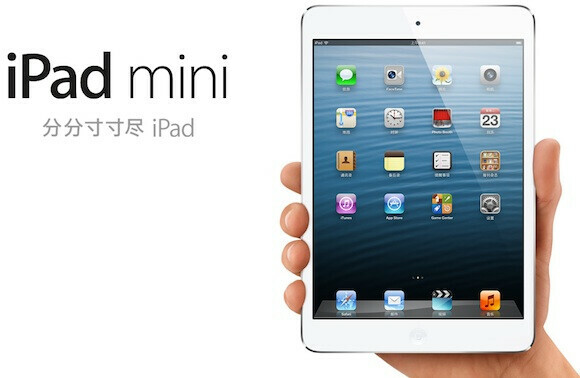 There already has been speculation that the next generation of the Apple iPad mini would feature a Retina display. According to the rumor, the next iPad mini will have the 2048 x 1536 resolution of the fourth-generation Apple iPad, giving the next mini a pixel density of 326ppi. As far as Texas Instruments is concerned, it is not clear what role the electronics company would play in the new Apple iPad mini, but the Cupertino based tech titan has been trying to lessen its reliance on arch rival Samsung. All of this talk about moving up production of the next Apple iPad mini comes even though Apple has yet to complete the global rollout of its first generation 7.9 inch tablet. Just the other day, regulators at the Chinese Telecommunication Equipment Certification Center approved the cellular version of the Apple iPad mini which is expected to launch soon via China Telecom and China Unicom. The quetion is if the Mini sales is strong why move up the next gen Mini? They are not waiting for sales to drop. 1. Valid point. This made me quite mad after owning an iPad 3 only 7 months. 2. These are still selling really well at the retailer I work at. They just took a while to gain traction because of the mini. 3. What?! Even a month after launch, cell phone stores were still sold out. Some people had to wait 6 or more weeks for their phone? You must not work with phones too much. 4. The iPad mini is 1.8" smaller in screen size. Our friend math explains this when you deduct 7.9 from 9.7. 5. If you had 5% of a multi-billion dollar market, I doubt you would be complaining. Not to mention the fact that consumers are straying from PC's and flocking to tablets. They will always be around in some form but in lower quantities. ok :) 1. we are in consensus :) 2. of course they're selling well as they're theflagship apple tablet available this year but apple's tab market going down 18% from 68 to 50% in indicative that people are slowly but surely expecting more from Apple which the company isnt delivering...as per expectations i mean. 3. i work with phones a lot and app development for ios as well :) the iphone 5 hasnt created half the hype iphone 4 (not 4s) created. iPhone 4 was a genuinely new product from Apple's camp....iphone 5 not so much and with other alternative offering higher specs and different ux its become hard for apple...hence pushing up production dates for iphone 5s as well. 4. i was being sarcastic but 7.9 or 8 inch isnt exactly one hand friendly...tabs are of two types one hand or two hand....if I am gonna go for something which is 8 inches then i might as well go in for 10 inches tabs and the ridiculous pricing and inferior specs of the mini dont help things. 5. If i had 5% sure i would persevere with the business...but someone like Apple who has been there right from the beginning should have grown exponentially. As far as tabs go yes its true what you say and now we have tab/laptop hybrids...therefore the pc once again finds a way to survive as the pc is the basis for evolution of computer tech both fixed and mobile. also the power user as you say will not stray away from the pc. I have a tab, a phone, a laptop but i always run games and autodesk apps on my pc only! Maybe the sales aren't as strong as Apple is claiming? If Apple goes to a 6 month release cycle, I wonder how long before a class action lawsuit gets filed claiming accelerated loss of value for the Gen 1 mini? This is crucial time for Apple, they have to change as the pressure on them is so great. Any doubt about need for change at Apple must have evaporated after Google maps dealt them a dizzying blow. If next version of iOS delivers Apple will keep status quo, but as I see it the chance for a disappointment is much bigger: technologically, creatively Apple cannot compare to Google. And Tim Cook seems to be more like logistical than a visionary guy. It will be very interesting. actually yes... the mini has a decent sales actually... i see that a lot of people dont prefer the 7" but prefer the 8" of the mini! but as for me, i'll wait for the next mini!! the price is not right!!! expecially that no retina display, old chips inside!! Nothing "is considered a retina display". Especially if you are referring to the magic number : 300ppi. That's just Apple that said it when they released the iPhone 4. The proof is, to sustain your clmaim you must explain that a tablet is further from the eye. Well, the "Retina thing", is it a matter of pixel density, or pixel density linked to the distance from the eye ? Moreover, it seems that the real "Retina thing" would be something around 450-500ppi. Of course it's not a problem, anyway the higher the ppi, the sharper the screen is. But I think nothing proves that 300 ppi has any meaning. So my take is that you could have spoken only of facts and numbers, not marketing gimmicks like Retina. On the iPad mini, I don't know if it is that that costs sells (I don't even know if it sells well), but I can say pixel density is really important. I had a Lumia 800, now own a 920, and if I buy a smartphone or tablet it will be a requisite that the pixel density reaches around 300ppi or higher. When you have had it once, you can't come back to less, especially when you read many texts on your device. Wendy is a girl, and we know girls love nothing more than shopping, so.. If i bought an apple genius clothes and put it on, would you give your money to me? if i had a dollar for every time wendy said this i would be apple-rich! ...the processor from the 2nd gen ipad is fine but mini shouldve come with a retina display in the first place..
And yet it still looks like the same P.O.S. ipad same shap and same BORING UI. and still people who buy it are going to ask WHAT'S THE DIFFERENCE?